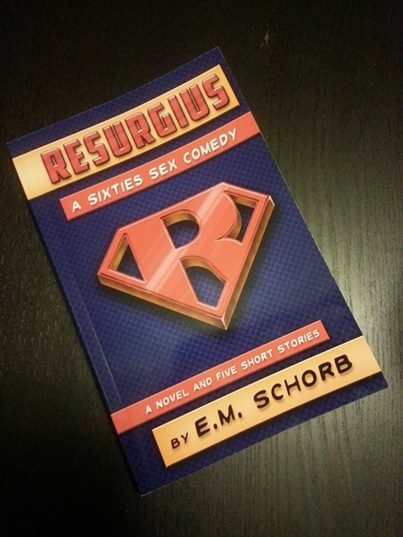 Cover reveal for July’s Adult comedy “Resurgius” by award winning author E.M. Schorb! 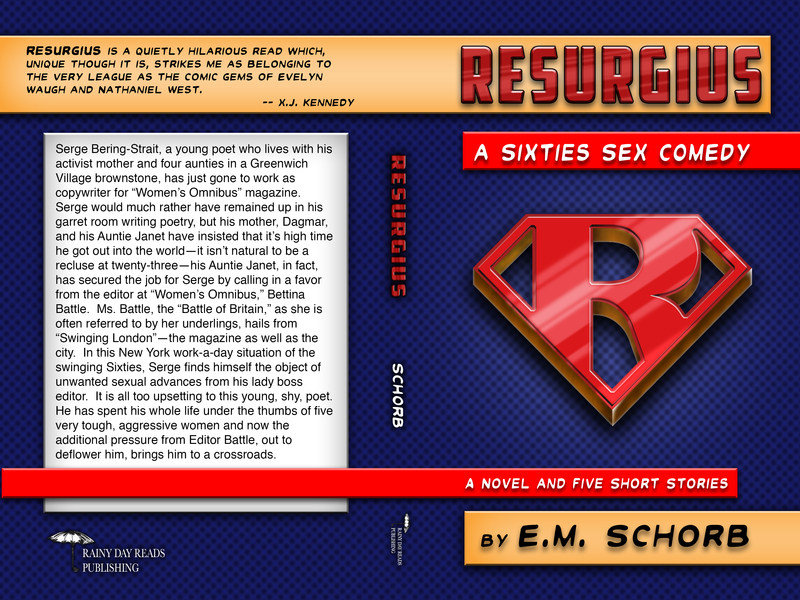 Releasing July 2014 from Rainy Day Reads Publishing Inc.
“Resurgius” by E.M. Schorb (Cover art by Trevor Richardson) Serge Bering-Strait, a young poet who lives with his activist mother and four aunties in a Greenwich Village brownstone, h…as just gone to work as copywriter for “Women’s Omnibus” magazine. Serge would much rather have remained up in his garret room writing poetry, but his mother, Dagmar, and his Auntie Janet have insisted that it’s high time he got out into the world—it isn’t natural to be a recluse at twenty-three—his Auntie Janet, in fact, has secured the job for Serge by calling in a favor from the editor at “Women’s Omnibus,” Bettina Battle. Ms. Battle, the “Battle of Britain,” as she is often referred to by her underlings, hails from “Swinging London”—the magazine as well as the city. In this New York work-a-day situation of the swinging Sixties, Serge finds himself the object of unwanted sexual advances from his lady boss editor. It is all too upsetting to this young, shy, poet. He has spent his whole life under the thumbs of five very tough, aggressive women and now the additional pressure from Editor Battle, out to deflower him, brings him to a crossroads.